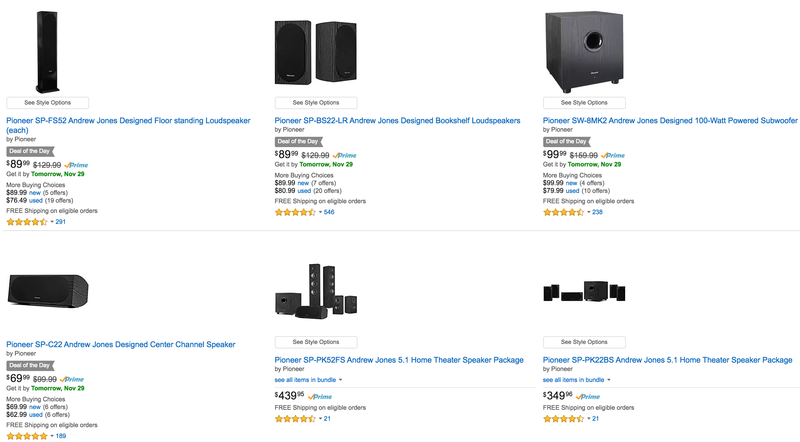 Today only Amazon offers a selection of Andrew Jones line of speaker products from Pioneer at lowest ever prices. You can build a set piecemeal or buy whole 5.1 surround sound packages for $349.96-$439.95. I’ve got my eyes on the Bookshelf Loudspeaker set for $89.99 shipped…and maybe that $100 subwoofer as well.